No Longer Empty (NLE) premiered ART ZONE CG-91, an art space, community data lab, and exhibition at NYC Health + Hospitals | Kings County. ART ZONE CG-91 opened Friday, June 23, 5-7pm, with a soft launch gathering with artists, youth leaders, and staff, and ran through Sunday, July 30. ART ZONE CG-91 took place in a former emergency waiting room on the Kings County Hospital Campus, where NLE hosted several art activities, and an exhibition. 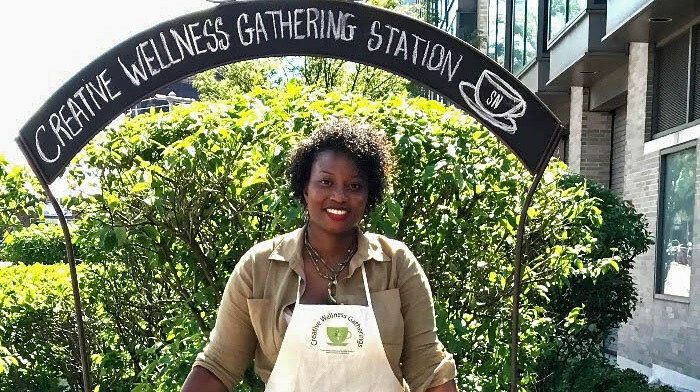 Over the course of June and July, artists Shervone Neckles and Ezra Wube installed artworks in and around CG-91 reflecting community narratives, dreams, and desires. 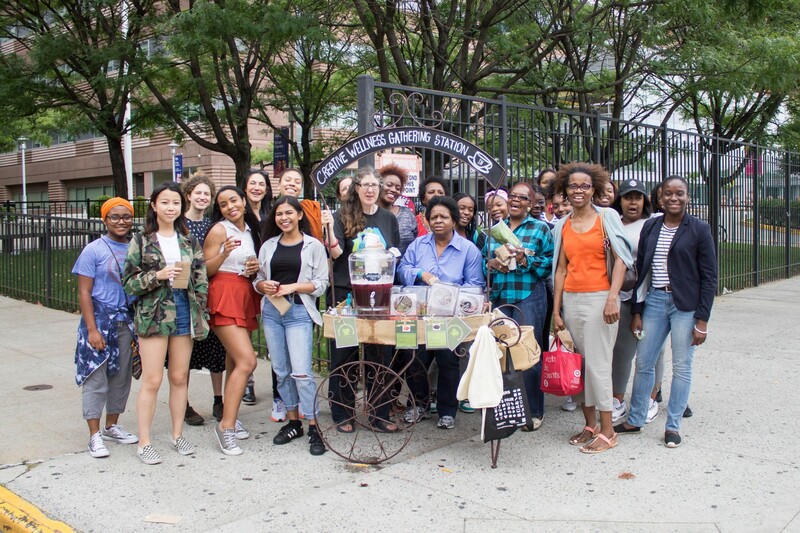 In July, local residents worked with social designer Manolo Ampudia and Education & Public Engagement Fellow Mica Le John to create an interactive installation that uses art as a cultural resource. ART ZONE CG-91 was organized by Sara Guerrero, Rachel Gugelberger, and Manon Slome. Beginning in July, NLE hosted free art tours and workshops for all ages in CG-91, as well as a community art & data lab asking residents from surrounding neighborhoods about their dreams and desires relating to community wellness and art. A group of local high school students and seniors helped run the summer programs and participated in the art & data lab. School groups, senior groups and summer camps could request a special visit with a free tour and workshop. All activities and programs were free and open to hospital staff and the general public. Saturday, July 29, 1 – 2 pm, The Room Where it Happened: Chief Curator Manon Slome led a discussion with artists Manolo Ampudia, Shervone Neckles and Ezra Wube on the community imaginings and dialogues that shaped their process over the course of the project. Saturday, July 29, 3 – 5 pm, Artist Salon: Short presentations featured work by artists with visual, contemporary and social practices who are based in Central or East Brooklyn. Sunday, July 30, 12 – 6 pm, Art Festival: Refreshments, performances, tours and art workshops for all ages, and a chance to meet artists, youth leaders, NLE and Hospital staff. 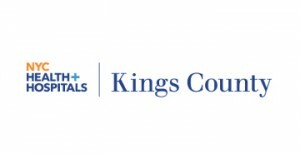 This event was curated by the participants of NLE’s Community Art & Data Lab at Kings County Hospital. 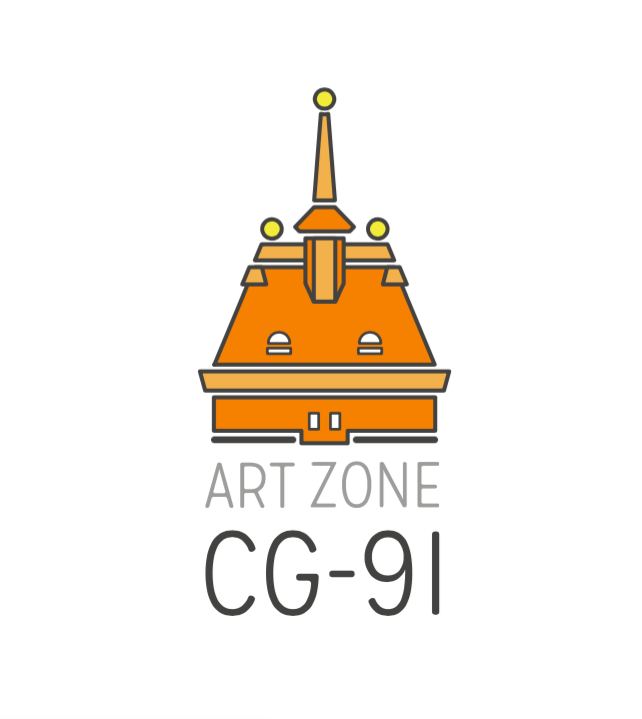 Support for ART ZONE CG-91 was provided in part by the Malka Fund; Metabolic Studio, a direct charitable activity of the Annenberg Foundation; New York City Department of Cultural Affairs; New York State Council on the Arts; and Materials for the Arts.